Google Maps / VMorozoff – Wikimapia, CCThe Kerch bridge connects Russia and Europe. Dozens of ships navigating around it have been sent false location data by the Russians. The Russians are hacking the global navigation satellite system (GNSS) on a mass scale in order to confuse thousands of ships and aeroplanes about where they are, according to a study by Centre for Advanced Defence (C4AD). Law enforcement, shipping, airlines, power stations, your phone, and anything else dependent on GPS time and location synchronisation, are vulnerable to GNSS hacking. GNSS jamming equipment costs $US300. This was not a random glitch, according to the Centre for Advanced Defence, a security think tank. 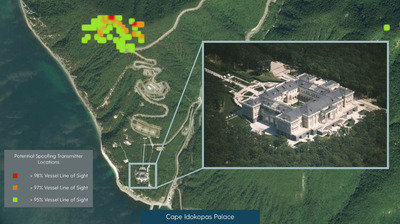 It was a deliberate plan to make it difficult for anyone nearby to track or navigate around the presence of Putin, C4AD says. 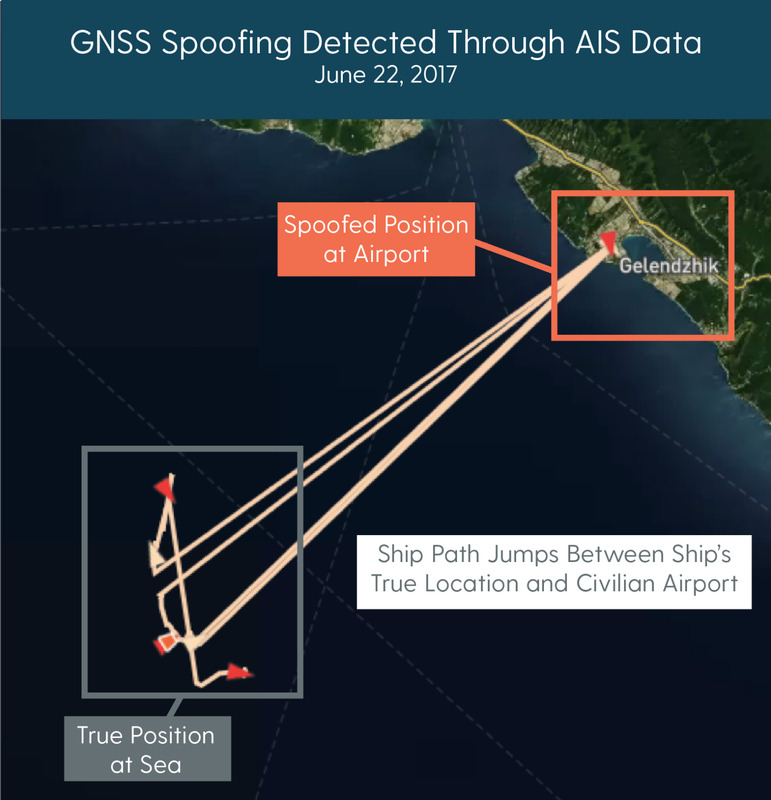 The Russians have started hacking into the global navigation satellite system (GNSS) on a mass scale in order to confuse thousands of ships and aeroplanes about where they are, according to a study of false GNSS signals by C4AD. Your phone, law enforcement, shipping, airlines, and power stations – anything dependent on GPS time and location synchronisation – are all vulnerable to GNSS hacking. “All critical national infrastructures rely on GNSS to some extent, with Communications, Emergency Services, Finance, and Transport identified as particularly intensive users,” according to a report commissioned by the UK Space Agency. An attack that disabled GNSS in Britain would cost about £1 billion every day the system was down, the report said. C4ADThis diagram shows GPS signals for a ship jumping around between the accurate location at sea and a false location at a nearby airport. 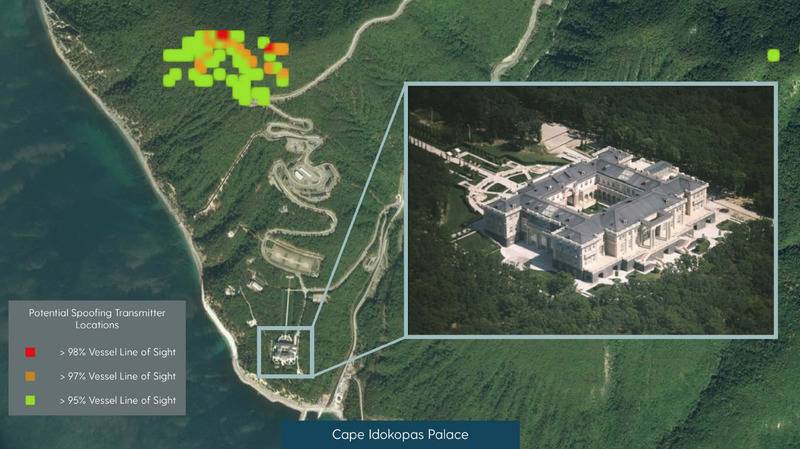 C4ADC4AD believes Putin’s summer ‘dacha’ is protected by a permanent GNSS spoofing zone. “In the summer of 2013, a research team from The University of Texas at Austin (UT) successfully hijacked the GPS navigation systems onboard an $US80 million superyacht using a $US2,000 device the size of a small briefcase. The experimental attack forced the ship’s navigation systems to relay false positioning information to the vessel’s captain, who subsequently made slight course corrections to keep the ship seemingly on track,” C4AD reported. Since then the cost of a GNSS spoofing device has fallen to about $US300, C4AD says, and some people have been using them to cheat at Pokemon Go. 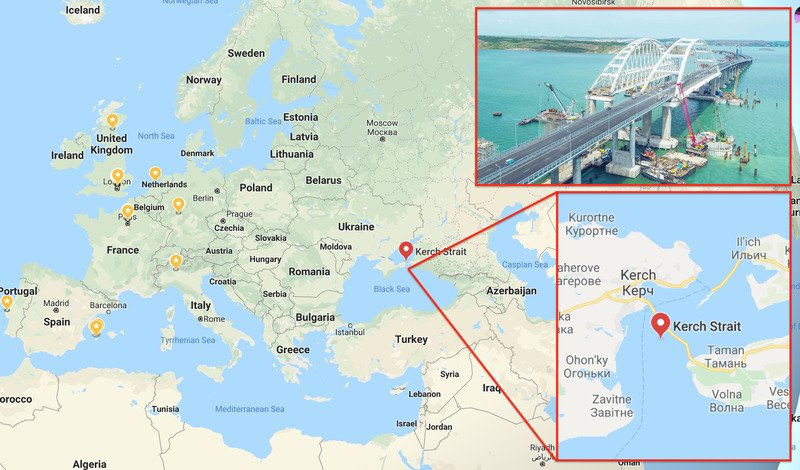 Wikimedia, CCPutin drives two construction workers across the Kerch Bridge.